Could leaf bales be the antidote to back bay flooding? 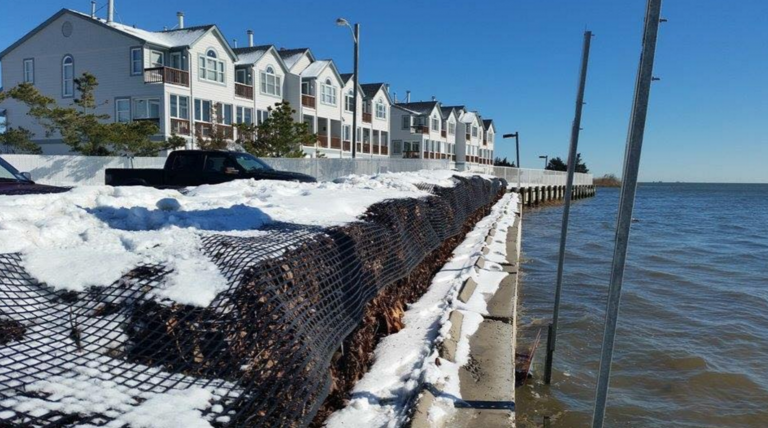 While tidal flooding was common — and in some cases, severe — along the back bays during the late January blizzard, a simple solution protected a southern Ocean County community. Prior to the storm’s arrival, a Little Egg Harbor public works crew placed more than 60 leaf bales along the Great Bay at Radio Road and at the Parkertown Docks in the township. Donnelly says the fastened bales “did not move,” saving the municipality “thousands of dollars” in potential damage costs, TheSandPaper reported. “We would have water all the way out to my truck, which is about 30 feet off the wall,” he said. But the environmentally-friendly wall is not permanent. The leaf bales, which are easy to remove and reintroduce when needed, are now gone, although officials are discussing long-term solutions. 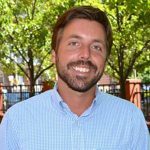 Residents of the low-lying area, which typically experiences tidal flooding and was hit hard by Superstorm Sandy, are also pleased. Rob Libonati, a resident of the Mystic Island section of the township and publisher of the “Mystic Island, NJ Community Thoughts” page on Facebook, is a proponent, along with numerous commenters on his page. But Dominick Solazzo, an Ocean County protective dune specialist and founder of Shifting Sands, a non-profit coastal conservation organization, is skeptical of using bales as a long-term solution. According to Solazzo, coastal communities require more substantial mitigation. “In order to maintain a sustainable habitat for humanity adjacent to tidal waters, we are going to need to make more drastic changes than using bales of municipal leaves,” he said. Share your opinion on JSHN here.